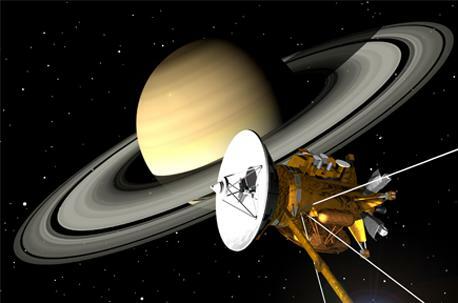 NASA’s Cassini space probe is still sending back useful data before it ends its 20 year mission by diving into the unexplored Saturnian atmosphere. The spectacular rings of Saturn may be relatively young, perhaps just 100 million years or so old, says BBC News. This is the early interpretation of data gathered by the Cassini spacecraft on its final orbits of the giant world. If confirmed, it means we are looking at Saturn at a very special time in the age of the Solar System. Cassini is scheduled to make only two more close-in passes before driving itself to destruction in Saturn’s atmosphere on 15 September. The probe is being disposed of in this way because it will soon run out of fuel. That would render it uncontrollable, and mission managers at the US space agency Nasa do not want it crashing into – and contaminating – moons that could conceivably host microbial lifeforms. The approaching end means scientists and engineers are now taking risks with Cassini that would never have been contemplated when the probe arrived at the planet 13 years ago. Chief among these risks are the dramatic flybys Cassini undertakes every six days. These see the spacecraft plunge through the gap between the top of Saturn’s atmosphere and the rings. It is a completely unexplored region from where Cassini is returning some unique data. This includes making a detailed map of the gravity field in which the contributions from the huge world and the rings can be teased apart. Cassini is essentially trying to weigh the rings. Their mass says something about their age.The more massive they are, the older they are likely to be. Some scientists think they could even have formed with Saturn itself 4.6 billion years ago. They would certainly need a large mass to withstand the forces that might erode them over time, such as collisions from tiny meteoroids. But it is looking like the opposite may actually be true – that their mass is less than previously estimated. I suppose the expectation is the satellite will burn up in Saturn’s atmosphere the way it would on earth. Except we have evidence from the shuttle disasters that doesn’t happen. So will there be enough heat to kill any microbes on the satellite? Will any be stripped off the satellite within the atmosphere before that happens? I love how speculation in press releases pose as scientific fact. Makes us feel good about our conceptions of the Universe. Saturn’s atmosphere is cold but its core is believed to be very hot.